Airworx Air Conditioning - We've got a number of different options to help you with all of your air-conditioning needs. We've got years of experience to help you determine how to tackle all of your heating concerns. We've got a number of different options to help you with all of your air-conditioning needs. We've got years of experience to help you determine how to tackle all of your heating concerns. 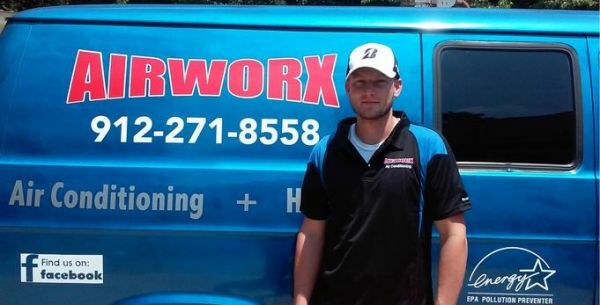 AirworX Air Conditioning has been in the HVAC Field for over 8 years and we've been lucky enough to learn a thing or two over those years. We've even worked hard to make sure that our staff knows the most up-to-date information about all of your heating and cooling needs. Keeping you cool and warm is our goal! If you are in search of a trustworthy and reliable appliance repair company, we are the right choice. All of our service technicians are fully licensed. We have many years of experience. At Hixon Heating & Air Conditioning, we are committed to fixing your heating and air conditioning system right at the first time. We will have a technician at your home within 24 hours of your call. Indoor Comfort offers Full Service Tune-Ups, Repair & Replacement options to ensure your home stays comfortable all year round.